Must have no adverse vision problems that cannot be corrected by glasses or contacts. No adverse hearing loss that cannot be corrected with hearing aids. No physical impairments that would impair safe operation of the Forklift. No neurological disorders that affect balance or consciousness. Not taking any medication that affects perception, vision, or physical abilities. Forklifts are now very widely used in the Industries and Forklift related accidents are on the increase day by day. One of the requirements of OSHA is that all workers who operators any kind of equipment’s must be trained and they shall be competent to operate the equipment. 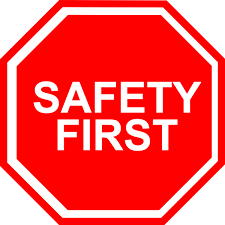 Statistic of accident in the world relating to Forklift accidents shows that 90% of the accidents are related to Unsafe Acts or Behavioral Safety. The purpose of this program is to create and awareness among Forklift Operators on causes of accidents with relation to Forklift operation and create a batch of Safe and Competent Forklift Drivers and certify them thus creating a safe environment around the forklift operation. the Requirements of an Employer and an Employee in Forklift Operation. the different types of Lifting Trucks and their capabilities. the different parts of the Forklift. the different safety features of the Forklift. the hazards the Forklift pose. the Forklift operations Do’s and Don’ts. the most important Safety Device in the Forklift. the Safety precautions needed during Refueling & Recharging of the Forklift. the safe operation of forklift. 8 key Requirements of an Employer for Safe Forklift Operation. 3 key Responsibilities of an Employee for a Safe Forklift Operation.